Every single day it's the same thing. Every breakfast. Every dinner. There is never any variation at all. It's true: every day of his life, my beagle get's a half of a cup of Purina One kibble in the morning and then again in the evening. And every time, without fail, he is positively exuberant. 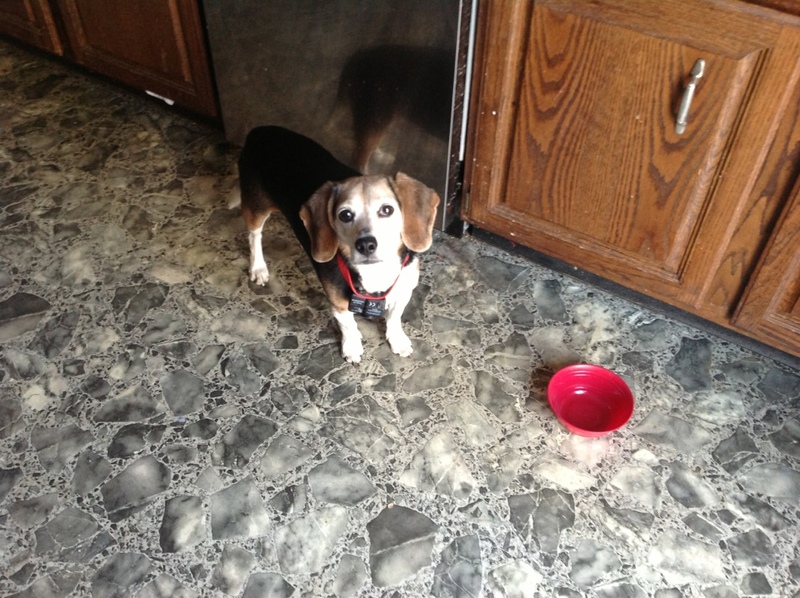 At mealtime, Charlie dashes from person to person, barking and wagging his tail as if to say, "It's time! Yay! Aren't you excited? I am so excited. I can't wait! Oh boy, oh boy, oh boy!" When we get out the dog food, Charlie stands close by to oversee the process. He watches impatiently, shifting his weight from paw to paw, tail quivering with anticipation. We fill his bowl, give him a quick pat on the head, and step out of the way just as Charlie rushes in, devouring every last morsel. He walks away seconds later, sated and content. He's calmer now, communicating in his beagle-speak, "That was amazing. Wow. It was even better than I thought it would be! Man, I love that stuff." And then at the next meal, he does it all over again. Every mealtime, our beagle shows us what joy looks like. And I just wonder: if a canine is capable of pure delight over such simple provisions, isn't it possible that I could be too? A lot of my life is mundane. Much of what I do, I have to over again the next day, week, or month. And I confess, sometimes, I'm not exactly joyful over the monotony. Maybe I could start by being more grateful for the blessings surrounding the routine; gratitude so often morphs into joy. So I think I'll start acting a little more like Charlie. Just a little though. Barking and wagging my tail? Not going to happen.